Ernesto Halffter, one of Manuel de Falla’s most admired disciples and a student of Stravinsky and Ravel, was a close associate of iconic figures such as Dalí, García Lorca, and Buñuel on the 20th century Iberian cultural scene. His magnificent score for Jacques Feyder’s 1926 silent film,Carmen, is one of the great impressionistic Spanish masterpieces of its era. 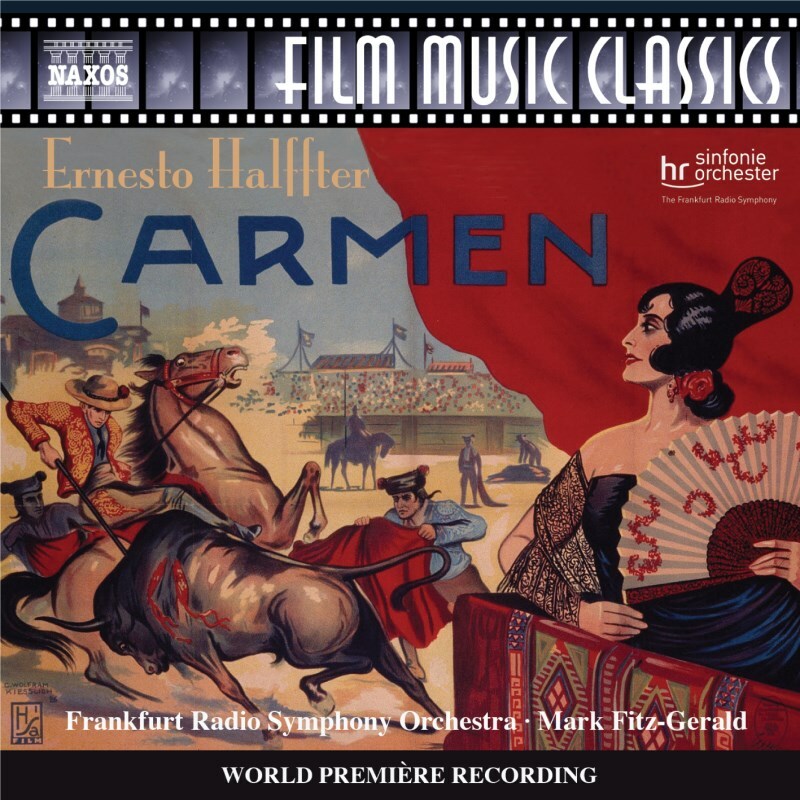 More sombre and tragic than the music for Bizet’s opera, Halffter’s vivid panorama depicts the range and depth of the powerful emotions encompassed within the Carmen story, a tale of thwarted love, passion, jealousy, and violence set in the heart of Andalusia in southern Spain. This is not only the work’s world première recording but the first performance to realise the composer’s musical intentions in full.